Arne Jensen obtained his Masters in Environmental Science, Geography and Biology at N. Zahle’s College of Education and at the University of Education in Copenhagen, Denmark in 1974 and in 1987. He served as Environmental Advisor to the Government of Denmark’s Programme on Environmental Aid to Developing Countries (1996-2002) and from 1986 to 1996 he was member of the Presidium of WWF-Denmark and served as Vice President of DOF- BirdLife Denmark. After his conservation career in Europe which included the redesign of the International Council for Bird presentation into BirdLife International and the building up of the Danish Ornithological Society into one of Denmark’s leading conservation organizations, he committed more than 20 years in South East and East Asia working with rural development, biodiversity and landscape management and monitoring, disaster risk reduction, government and NGO capacity building, and local stakeholder governance. He is currently working with Climate Change Adaption and Disaster Risk Reduction Projects in the Philippines funded by the Governments of the Netherlands and Denmark and with review and scientific assessment of participatory landscape management and monitoring approaches. He is also working as independent evaluator of projects and programmes, e.g. funded by the GEF, UN and by IUCN. 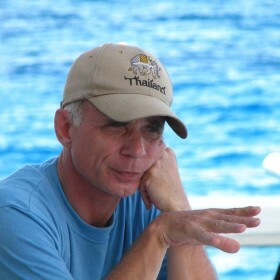 At present, he is also the avifauna management advisor to the Tubbataha Reef Natural Park and World Heritage Site. In the Philippines he has served as the Country Representative of BirdLife International and of Wetlands International. He has also served as a Cluster Expert of the Asean Regional Centre for Biodiversity Conservation, and been advisor to the Foundation for the Philippine Environment and Conservation International Philippines. He is co-founder and board member of the Philippines Wilderness Protection and Preservation Trust and the Wild Bird Club of the Philippines where he is the Chair of the organization’s Avifauna Records Committee. He is a member of the Biodiversity Conservation Society of the Philippines and of Adventurers Club of Denmark. Arne Jensen has made more than 120 publications ranging from scientific papers in peer reviewed journals (e.g. Ambio, Conservation Biology, Biodiversity and Conservation, Journal of Asian Ornithology) to technical reports for international donors, government agencies and NGOs.